Executives and Petroleum Engineers must be able to understand the financial performance of oil and gas investments from both the project and corporate performance perspectives. 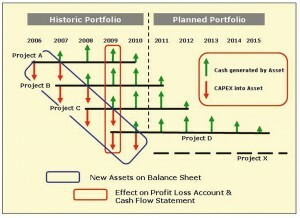 The generic cash flow curve of oil and gas projects is well known. However, the new area of tougher petroleum economics requires a more integrated approach where the economic analysis is moved forward in the E&P lifecycle. The economic appraisal of oil and gas projects under conditions of certainty and uncertainty requires detailed knowledge of petroleum economics, project evaluation and corporate finance. Petroleum professionals need to have a thorough understanding of the value chain and the global competitive landscape in which they operate. Alboran courses provide that deeper understanding, covering both the strategic and operational aspects. Instructive case studies illustrate the concepts discussed and brief workshops help consolidate the acquired insights.